With sincere grief the Magisterial House of the Sovereign Order of Saint John of Jerusalem, Knights of Malta, Federation of the Autonomous Priories (KMFAP) announces to all Dames and Knights of the Federation the decease, in the sequence of a long illness, of our dear Knight Commander, Sir Frank Philipoom at the age of 58. Sir Frank was also our Knight of Sword and Silence (Sovereign Order of Cyprus) and the Commander of the Dutch Unit of the Magisterial State Guard. Few are the men who, like Sir Frank Philipoom, by his work become loved and respected at international level by all of those who had the chance of meeting him or the fortune of becoming his friends. During his life Sir Frank has always worked selflessly for the other, training bodies and minds, helping by his example to define and strength the character, self confidence and self esteem of many young people. 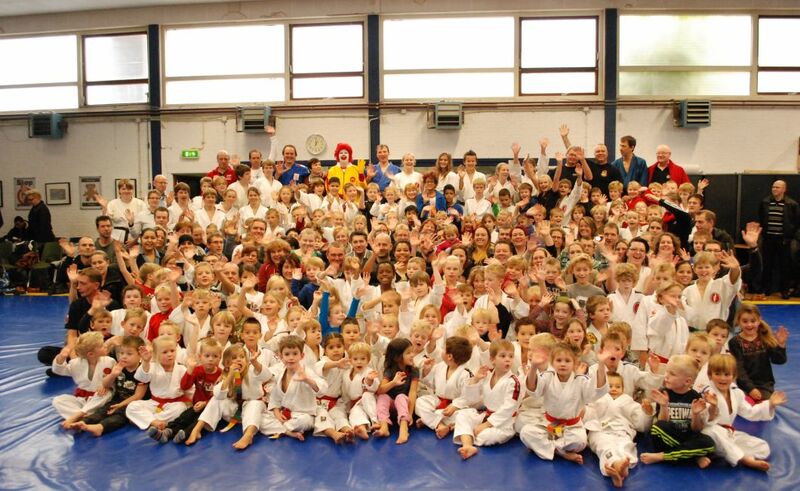 Sir Frank Philipoom was the Director of our FEMERAID International – Netherlands Unit, created and registered by him, where he developed a remarkable activity assisting Victims of Violence, mainly children victims of bullying, helping them to gain self confidence and to loose their fears, in a clear demonstration of the high qualities and positive use of the Martial Arts. For his outstanding, remarkable work and dedicated activities, Sir Frank was awarded the “Medal of Honour for Humanitarian Services” on the 26th October 2012. For our Sovereign Order and State the decease of Sir Frank was a great and serious loss, deeply felt by all, but he will be remembered by us as an example of how a noble hearted Knight should be, and as a lighthouse to all of us, indicating the bearings of the selfless humanitarian work. 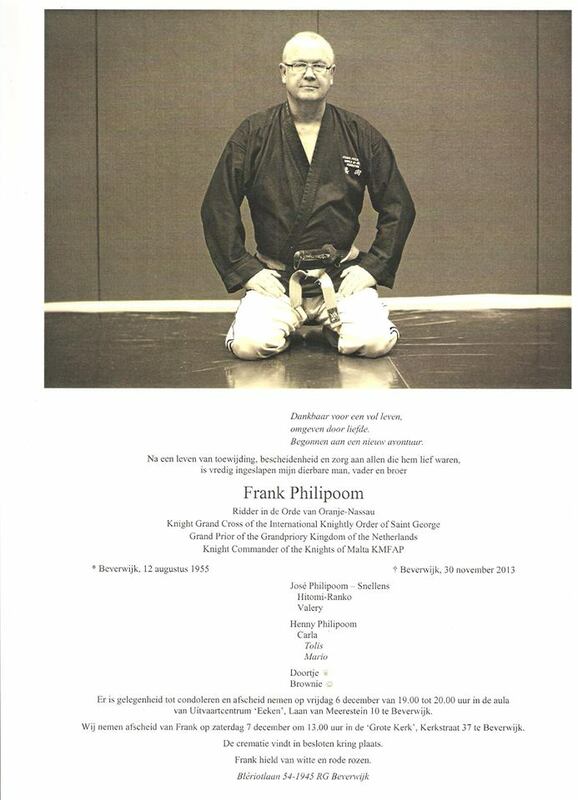 The Grand Master and Head of the State of the Federation (KMFAP) presents in his name and in the name of His family, as well as on behalf of all the Knights and Dames, to the dear family of Sir Frank Philipoom the most sincerely felt condolences.